Tourism infrastructures are still under way. Many parts of the country are still off-limits to the travelers for security reasons or geographical remoteness, bad road infrastructure and accommodation issues - or all of the above. People, culture and traditions are still authentic. We don't see much high rise buildings or many signs of modernization in Myanmar. But it is moving toward the democratization and with increasing foreign investment, new road construction, new airports, new hotels, and such wonderments as ATMs, WiFi, and interesting food. 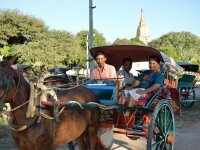 Travel to Myanmar, where thousands of ancient pagoda and stupa temples rise of out the plains, holy men and commoners dress in sarong like longyi, women and children paint their faces with the paste from the sandalwood root, and authentic floating village life exists in the waters of the lake. Explore Myanmar today to experience another time while it still exists. Myanmar, formerly known as Burma, is a mysterious country in Southeast Asia. Myanmar offers travelers many wonderful destinations and sights to see and things to do. Myanmar is truly the heart of Asia and we can experience the influence of all these neighbors in Myanmar's rich ethnic diversity, culture, history, food and costumes. 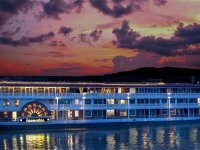 Irrawaddy River which is called the lifeblood of Myanmar's economy and it's principal tributary-Chindwin River are famous for cruise tours. While it is absolutely important to up-to-date on routine vaccines before a trip to any country, Myanmar is no exception. So, it is suggested that you visit your health professional at least few weeks before your trip to check whether you need any routine vaccinations or other preventive measures and those with pre-existing health problems, consulting your doctor would be great. The official currency of Myanmar is the Kyat (pronounced as ‘Chat'). Banknotes come in denominations of K1, K5, K10, K20, K50, K100, K200, K500, K1000, K5000, K10,000, and coins to the value of 100 and below. Kyat is a non-convertible currency and cannot officially be exchanged abroad. 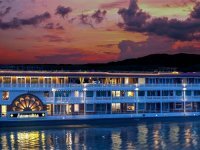 It is unfortunate Myanmar suffered from prolonged internal conflicts, and politically motivated violence did occur but now, Myanmar is absolutely safe to travel and it is recommended that you visit this beautiful country to see what it has to offer. 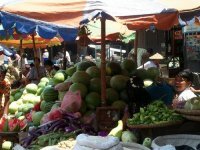 Myanmar has a tropical climate and has distinct seasons –hot, wet and cool. The country becomes very hot from March to May. The temperatures often excess over 40°C (or 104°F)in the dry zone of the central plains in Bagan and Mandalay. From May to October, the southwest monsoon brings rain so there may be obstructed roads from July to September in particular. 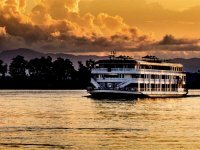 How To Get To Myanmar And away? Commonly used international airports in Myanmar are: Yangon International Airport - there are regular scheduled flights from Yangon to many major Asian cities, Mandalay International Airport - served by several flights from Hong Kong, China, Thailand and Singapore and Nay Pyi Taw International Airport. From outside, flying to a regional hub like Bangkok or Singapore is the cheapest way to reach Myanmar. It is mandatory for travelers travelling to Myanmar to have a passport valid for at least six months after your departure from Myanmar and a valid visa. Also make sure you are not running out of blank visa page.You can apply a conventional Myanmar visa at the nearest embassies and consulates or it's very easy to obtain electronic travel authorization (eVisa) online which is good for entry to Myanmar.